When Germany and Austria ran short of cotton during the War, the value of the Nettle as a substitute was at once recognized, and the two ordinary species, U. dioica and U. urens, the great and the smaller Nettle, were specially selected for textiles. 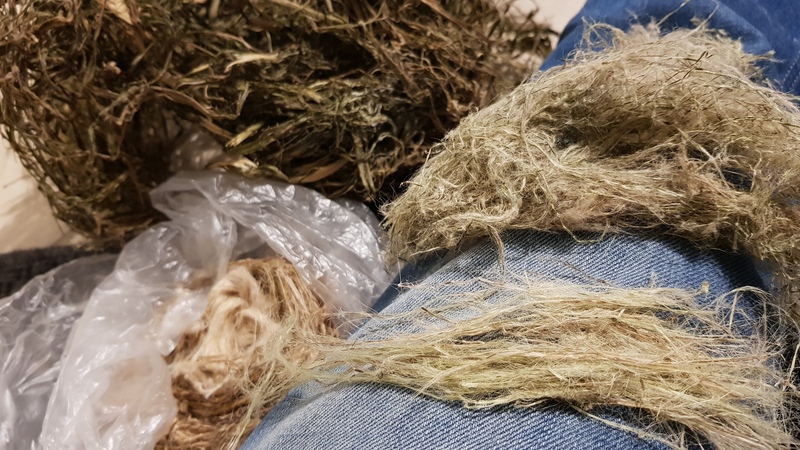 Among the many fibrous plants experimented with, the Nettle alone fulfilled all the conditions of a satisfactory source of textile fibre, and it was believed that it would become an important factor in agriculture and in the development of the textile industry. Investigations and practical tests made in 1916 at Brünn and Reichenberg confirmed the hopes raised concerning the possibilities to be realized in Nettle fibre; the capabilities of the plant were thoroughly tested, and from the standpoint of the factory it was affirmed that goods woven from this fibre were for most purposes equal to cotton goods, so that it was believed that, for Central Europe at least, a large and increasing use of Nettle fibre seemed assured. 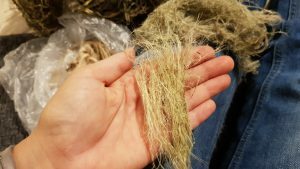 Mixed with 10 per cent cotton, it was definitely shown that underclothing, cloth, stockings, tarpaulins, etc., could be manufactured from the new fibre. In 1915, 1.3 million kilograms of this material were collected in Germany, a quantity which increased to 2.7 million kilograms in 1916, and this without any attempt at systematic cultivation. The quantity of Nettles grown wild in Germany was estimated at 60,000 tons, but as time went on it was found that self-sown Nettles were insufficient in quantity for the need, and that their quality could be improved by cultivation, and great efforts were made to increase production, but the cultivation proved more difficult than was expected. Next: Next post: When nettle retting is finnished?